October 2, San Carlos, CA: Does everyone have a drug of choice? I never seriously considered drinking until recently. For now, I think photography will be one of my drugs. 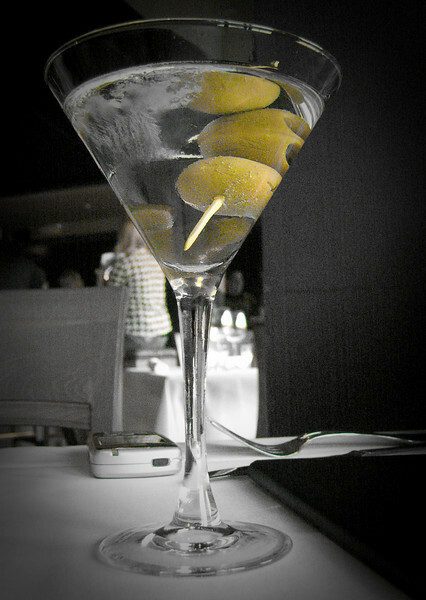 The martini is from dinner...and was not mine. After having breakfast, lunch and dinner with friends, I started thinking...historically, getting me to pin down a meeting time and place felt like a root canal. Commitment issues. Recently its felt easy. I wonder if that's more because my point of view is changing or more because I have been in serious need of friends and family lately. I am going for "both." In any case, I am so thankful to them for their support.